When Tin Angel opened on Philadelphia’s Second Street corridor, it brought the concept of an intimate venue with an emphasis on good sound and clear sightlines to a music scene that was in dire need of such a venue. This type of concert experience has since been expanded upon by area stages such as Milk Boy and other coffee shops – although the listening frequently requires tuning out espresso brewing and assorted low-level hustling and bustling. A few months ago a new, easily-accessible venue opened just up the Northeast Extension in Quakertown with a series titled Parlor Concerts at McCoole’s. The debut artist was John Hammond, but word of that event or the series’ existence didn’t seem to spread to very many Philadelphia ears. In fact, when I received a “what’s new” email from the great guitarist Bill Frisell listing a “Parlor Concert” in Quakertown, I was sent off to Google to figure out exactly what that was. I’m glad I did. An exterior view of part of the McCoole's complex, with the Arts & Events Place to the left. 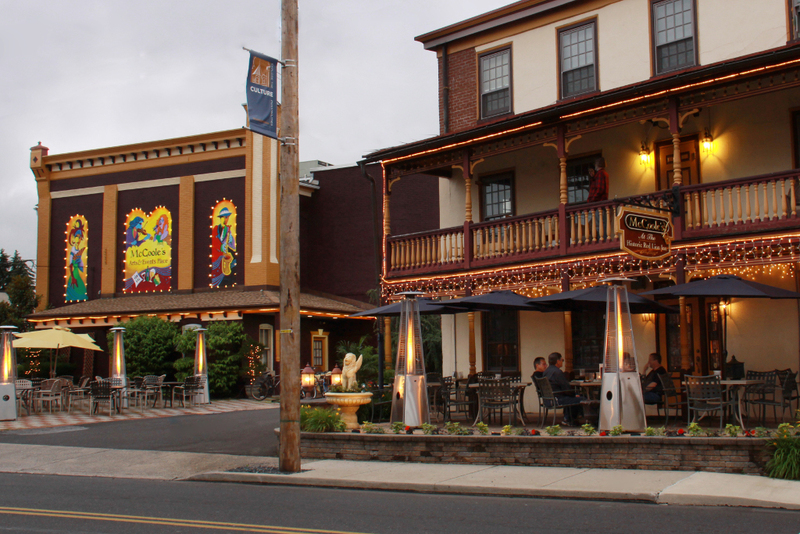 The Parlor Concert series takes place at McCoole’s Arts & Events Place, adjacent to McCoole’s Red Lion Inn, located just east of Route 309 on the main road into Quakertown. Essentially, the McCoole’s complex is a series of related buildings rescued from decay by Jan Hench, who after establishing a highly-regarded restaurant and tavern began including artistic endeavors in her vision. 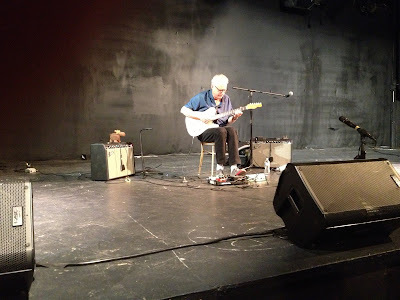 Bill Frisell’s September 8 concert took place in the very intimate upstairs theater, which seats just under 200 listeners. How intimate? The set ended with Frisell, still on stage, conversing with the audience and booker Tom Malm about how impressed he was with the venue, and his desire for a return engagement as soon as possible, perhaps with one of his band projects. Bill Frisell alone on the stage, September 8, 2013. Sunday night, though, was all about Frisell as a solo artist. Using a series of guitar effects to craft loops or sonic-grabs of pedal tones, Frisell’s astonishing grasp of chord voicings and scales was readily apparent. After moving from an airy improvisation on into the traditional and familiar patterns of “You Are My Sunshine,” Frisell coaxed the melodies from every position on the neck of his well-worn Telecaster, subtly changing the sonic character of each progression. An equally impressive aspect of the guitarist’s approach is his fearless use of abrasive tones, which characterized one cacophonous passage before suddenly resolving into a beautiful, haunting medley rendition of “Strawberry Fields Forever” and “In My Life.” It’s a gifted solo talent who can take an audience on such a wide-ranging musical journey, but Bill Frisell regularly accomplishes that feat – it just usually happens in front of much larger audiences. To see and hear it within such personal confines was a rare experience. The next event on the parlor concert horizon is October 25 with Jim Lauderdale, who like Frisell is a Grammy winner. 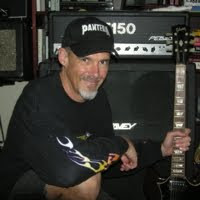 Lauderdale has had an illustrious songwriting career and has worked with artists ranging from Lucinda Williams to Elvis Costello. His date is followed by a number of other shows on the venue schedule. Hopefully more music fans from the Philadelphia area will make the quick drive north to share in this experience when it happens.